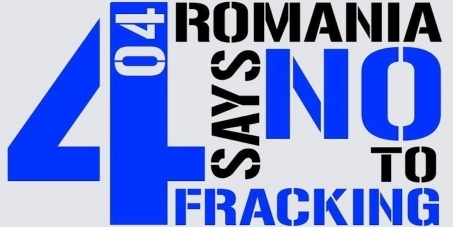 Help to BAN Fracking in Romania! This petition has been created by Asociatia R. and may not represent the views of the Avaaz community. Please help and SHARE this petition!! Romania is a country, which managed to keep its biodiversity alive! Wild Carpathia (presented on Travel Channel by Charlie Ottley) captures the fragile majesty of a unique eco-system and show why it deserves to be preserved in all its glory for the benefit of future generations. The Romanian government leased large areas in some of the most magnificent areas of the country, to start Fracking by summer 2013. Romanians in the areas have protested massively but all those protests have been, so far, ignored by Romanian media and the government. Several constituencies such as France, Bulgaria and some Swiss and German states have already adopted a ban or a moratorium on fracking activities. On the 4th of April, there were held demonstrations across the country, in over 20 cities, in the efforts to bring awareness to the Romanian government and the Romanian media about the real choice of Romanian people: NO to Fracking. Please support Romanian people in their efforts of BAN fracking across the entire territory of Romania. Thank you for signing! please SHARE!